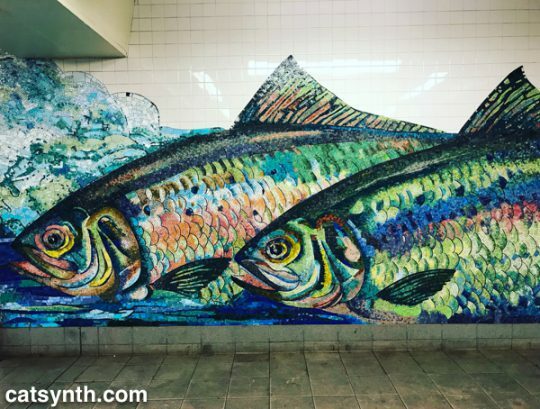 Piscine mosaic in the New York City subway. Specifically, at the Delancy/Essex Street Station. We passed through this station last November during our Ai Weiwei expedition.